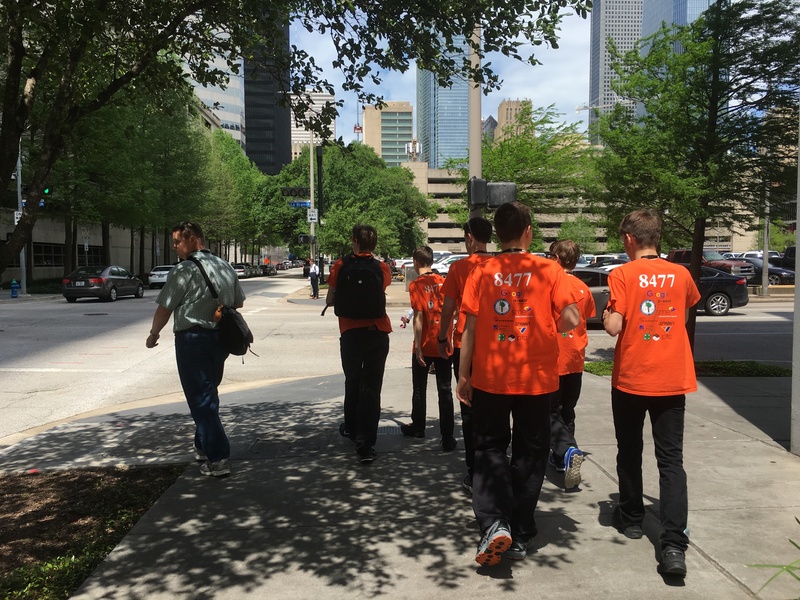 Our trip to the World Competition in Houston, Texas was an amazing learning experience. We changed our pit layout from the South Super Regional in order to be more open and to encourage more teams and visitors to check out what we had to show. In our first match we were paired with team 7209 and won 170-40. In our second match we were paired with team 9048 and won 185-125. In our third match we were paired with team 8404 and won 155-87. In our fourth match we were paired with team 6510 and lost 125-60. In our fifth match we were paired with team 548 and lost 245-200. In our sixth match we were paired with team 3526 and won 210-165. In our seventh match we were paired with team 4717 and won 250-195. In our eighth match we were paired with team 750 and lost 251-135. 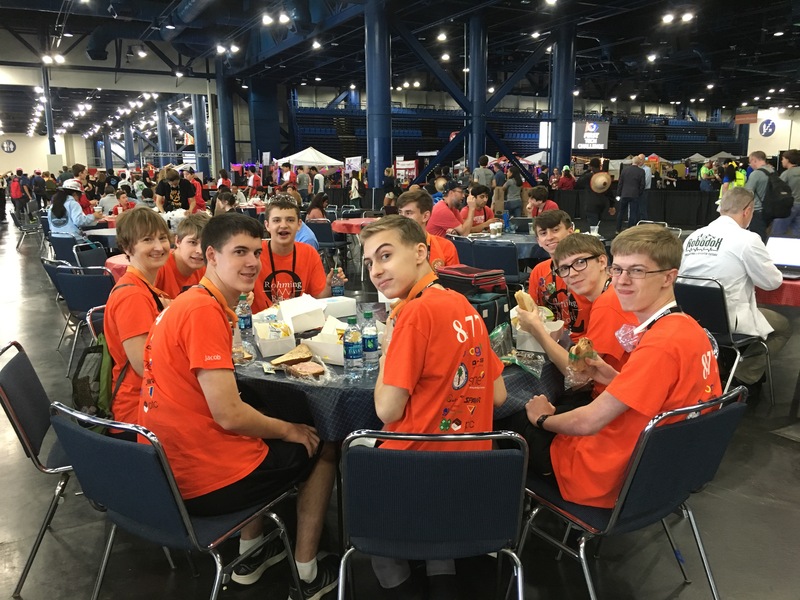 In our ninth match we were paired with team 4153 and lost 170-120. We finished 27th in the Jemison Division, and 53rd overall.